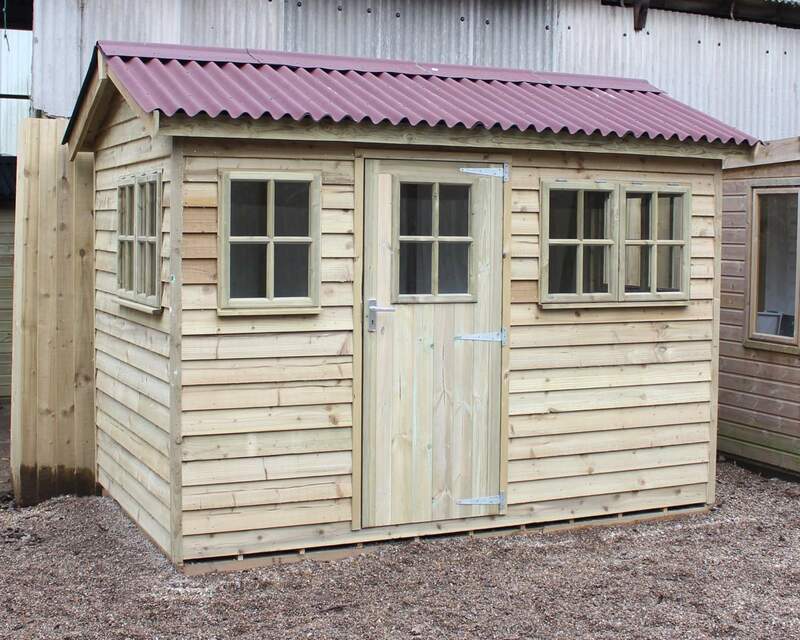 Our 8x6 Dartford Shed is one of our most popular outdoor buildings amongst our collection. The idyllic looking shed features an apex roof; two slopes that meet right down the middle and along the length of the outdoor building, and also offers two joinery made window frames with 4mm toughened glass which is perfect for creating a light and spacious area. The expansive outdoor building is suitable for a number of purposes from an attractive storage solution in the garden to a children’s wendy house or for use as an office. We encourage customers to really transform their garden sheds to suit their needs. The Dartford Shed has been manufactured using 100% pressure treated timber, this is to ensure that regardless of your sheds purpose, the quality of your shed remains looking great and protects your belongings and valuables inside your garden room. What’s more, your garden building includes a high-quality polyester green mineral felt on your shed roof. We understand that the shed roof is subject to the most weathering and therefore needs an extra layer of protection. We also provide galvanized door furniture on the doors our Dartford Sheds for added protection. The galvanized door furniture means you’re able to add a security lock to your shed to keep your valuable belongings protected at all times. 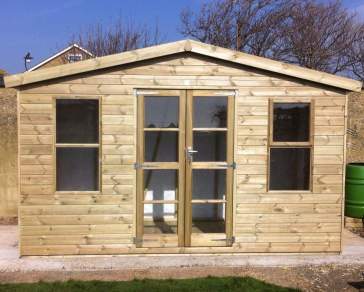 We’re proud to be your local shed supplier in Dartford. 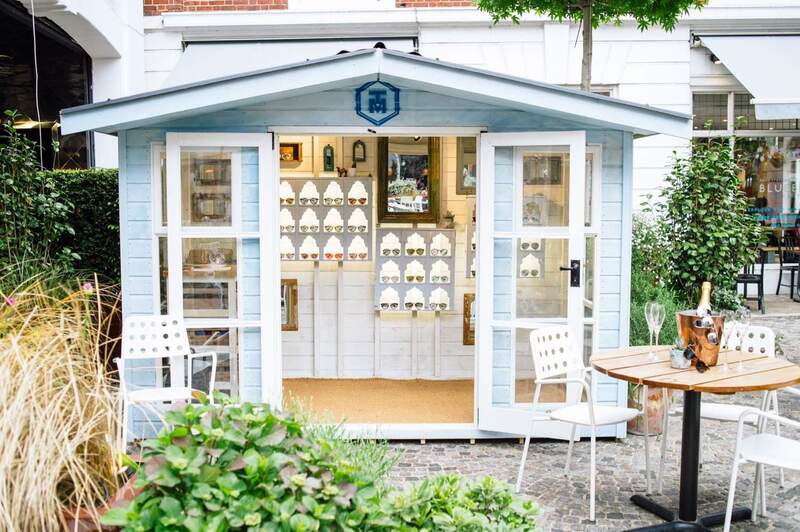 Our show-site is in located in Bethersden near Ashford so we’re only a short distance away if local residents want to come and see our products in the flesh! What’s more, we offer FREE delivery & installation to all towns and villages in Dartford. Our delivery & installation service is added at checkout and means you don’t have to worry about collecting your shed. We will deliver once manufactured and also correctly erect your outdoor building too. Dartford can be found in North Kent and is a charming market town. Although Dartford is better known for its easy commute to central London (after all, the Kentish town is situated just 18 miles from Central London), the town is steeped in history. There are a number of historical attractions to see in Dartford from Hall Place and Gardens, St John’s Jerusalem, Red House, and Rainhall Hall to name a few.